Fast panning aerial view of a church spire in a city centre. 4k00:13Establishing aerial shot of Dudley, West Midlands from behind a church tower and spire. 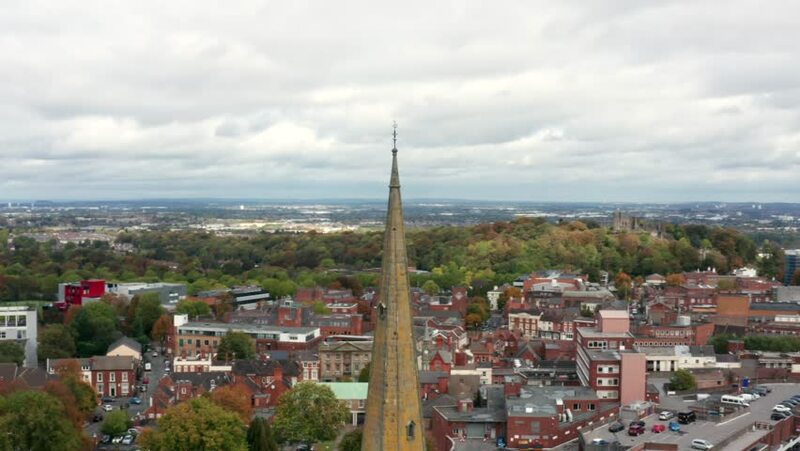 4k00:10Slow panning aerial shot of a church spire with city centre background in England. 4k00:11Revealing aerial shot of Dudley, UK. 4k00:25Panoramic video of the city of Vienna, Austria. Sunset time.